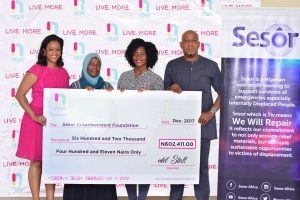 Representatives of NTEL Nigeria were at our office on February 27 to make the donation worth N602,411 (six hundred and two thousand four hundred and eleven naira), on behalf of their colleagues. Speaking at the presentation of the cheque, Jenika Mukoro, General Manager of the Brand Management, said the staff decided to make the donation to support our work with the displaced. 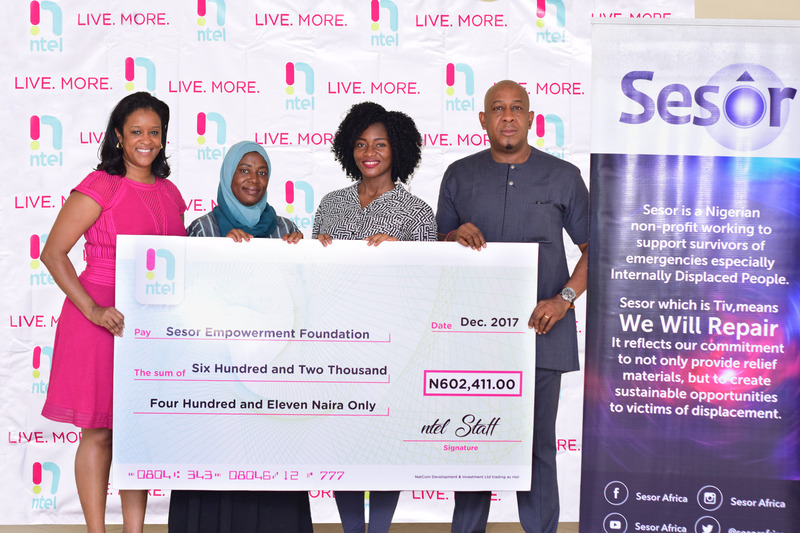 Sesor’s Communications Officer, Jasmine Asekome, thanked the NTEL team for their donation, stating that the funds will be used to support victims of the militant herdsmen attack in Benue. Many communities in 6 local governments were attacked by militant herdsmen on January 2, leaving 73 men, women and children dead with over 80,000 displaced. Relief materials are yet to reach some of the victims taking refuge in a few of the camps as well as host communities. Sesor and its partners will continue to visit affected communities with relief materials and begin to assess medium to long term support for the displaced.